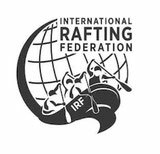 Are the certifications You can get from the IRF as a professional raft guide. Check the document below for further details. 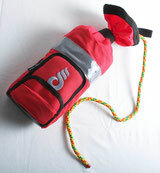 Check the "Downloads for IRF courses" to see the training program and the river signals. - - Basic Rescue Techniques i.e. A challenging swim, throw bag rescue / recoil rescue, Raft flip drill, any functional 3:1 or 4:1 mechanical advantage system built from there own gear within 5 minutes incl. anchors on both ends.